£5 Free! New Player Bonus! Visit website for full T&C's. 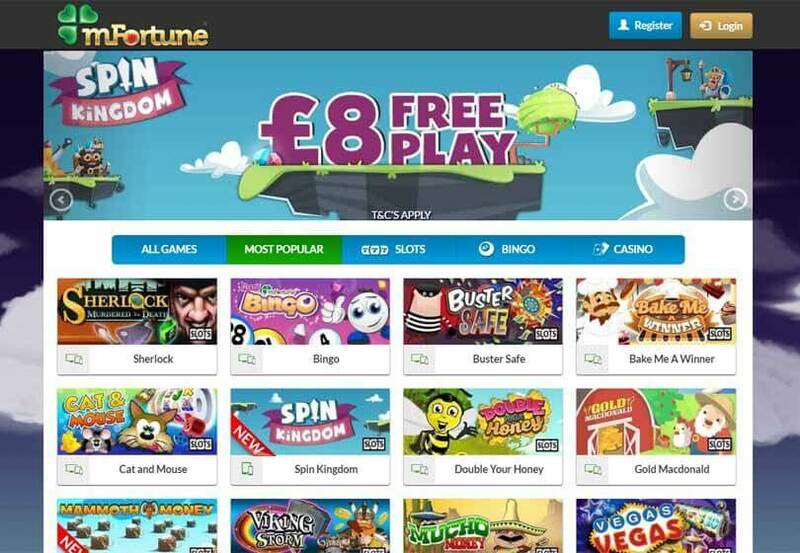 mFortune was chosen as one of the best UK bingo sites! 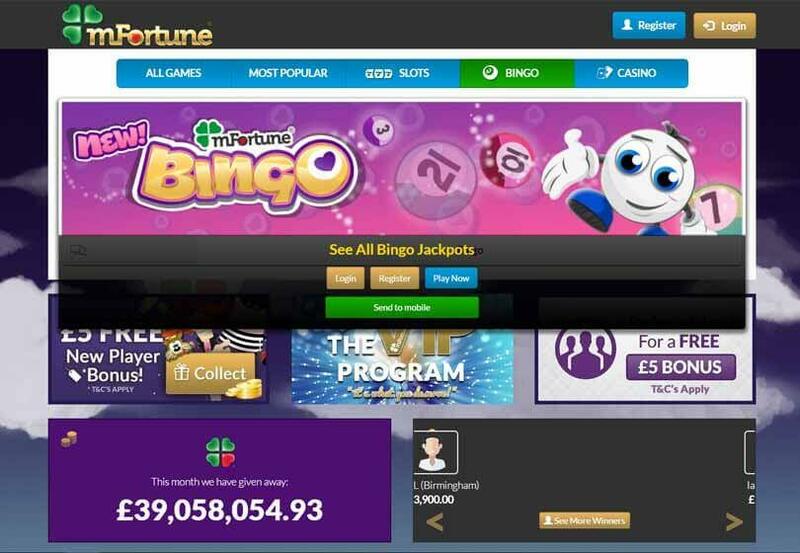 We love colourful, rewarding and interesting bingo sites – mFortune Bingo certainly ticks all of our boxes. 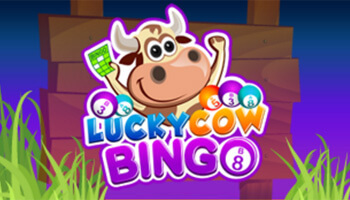 This site allows you to make some money with bingo and exclusive slot games that make it a stand out place to play. Getting a no deposit bonus for a great site like this is brilliant and they allow you a £5 free play here. This is yours as soon as you sign up and you can spend it on lots of fun games. You can make it last or splash out all at once, it’s entirely up to you! When you want to become a fully funded player they’ll add on another 100% to whatever you deposit. This effectively doubles what you have to play with, how cool is that? Terms and conditions are applicable on all offers, you can read more about this on their site. Reloads, reloads, reloads – You always get at least 10% extra on your deposit here. This isn’t the biggest reload offer we’ve seen but it’s nice to see that you always get something here. Loyalty Prizes – This site takes their loyalty bonuses seriously, they don’t just give out bonuses. They actually allow you to swap your points for real gifts of your choosing, like phones, vouchers and more. Although this is possible, you need to play a fair bit of money to win the biggest prizes. Giveaways – If you like freebies then you’ll love the weekly giveaways here. All you have to do is be a funded roomie and take part each week. Then you’ll be in the running for some awesome prizes just for playing. We’re big fans of the offers here, they don’t change that often but they do allow you the chance to boost your winnings. 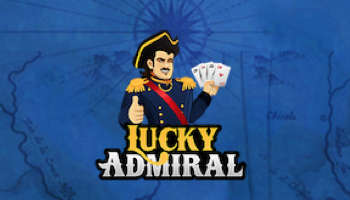 This site is for mobile players and there’s an excellent range of different games to check out. 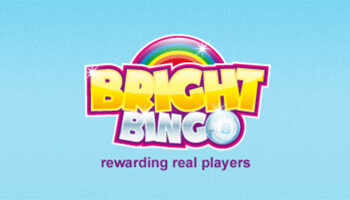 Within the bingo section, you’ll find rooms that have a gem theme and some big prizes waiting to be won. These rooms are great fun to play in, though they can get quite busy especially if they’re low cost or free. This site can be accessed across a range of devices, so you don’t need to worry about compatibility issues. There are loads of exclusive mFortune games for you to have a few spins on too, something that’s bound to delight gaming aficionados. We love the fact that this site is truly unique and isn’t just a copy of another site. If you’re a savvy social media user then we’d definitely recommend that you like the Facebook page for this brand.  They offer their players the opportunity to play in lots of competitions and games on this platform at no cost to themselves. Some of the prizes here are really impressive too, with gadgets and gifts on offer for quizzes, puzzles and riddles. 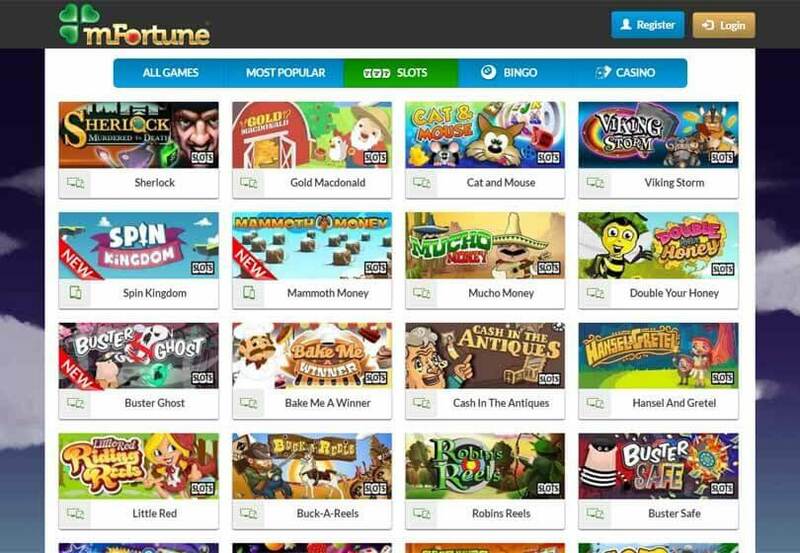 Overall, our mFortune review has been pretty positive, with a few small things that they could improve upon. We love playing here, as they’re just so generous with their players through a variety of offers. Claim that no deposit freebie if we’ve got you interested.